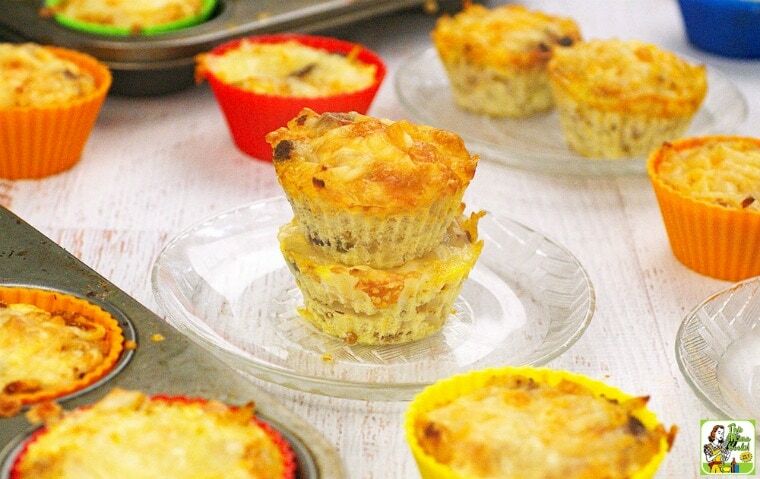 These breakfast hash brown muffins perfect for make ahead weekday breakfasts. This easy breakfast recipe should appeal to parents since you can make a big batch and freeze it for later. This hash brown muffin recipe has all the things that I know many kids love to eat in the morning – eggs, cheese, and spicy sausage. Plus, these Hash Brown Sausage Muffins have some healthy stuff that moms want them to eat like vegetables, plus a sweet surprise – raisins! It’s also naturally gluten free. Why serve Hash Brown Sausage Muffins in the morning? Now that I have teens, it’s pretty amusing to see what they’re making for breakfast in the morning. My son, Nathan, sticks his head in the refrigerator and the pantry. Then he complains that there’s nothing to eat, which s code for there’s nothing that takes next to no effort to make, like scarfing down a not-good-for-you pastry. My daughter, Lucie, usually makes toast or a bagel. It’s too much of a bother for them to make anything nutritious like a quick egg scramble or a smoothie. So, I worry that they’re not getting a good start in the morning. That’s why I came up with this hash brown muffin recipe made with chorizo sausage. It’s super easy to make! If you can’t find chorizo in your grocery store, spicy Italian sausage is a good substitute. Or you can easily make your own chorizo sausage with lean ground beef or ground turkey. I used shredded Queso Quesillo Rallado, which I found in the Hispanic section at my local Walmart. If your local grocery store is lacking a good Hispanic section, use Mexican style shredded cheese or Monterey Jack. 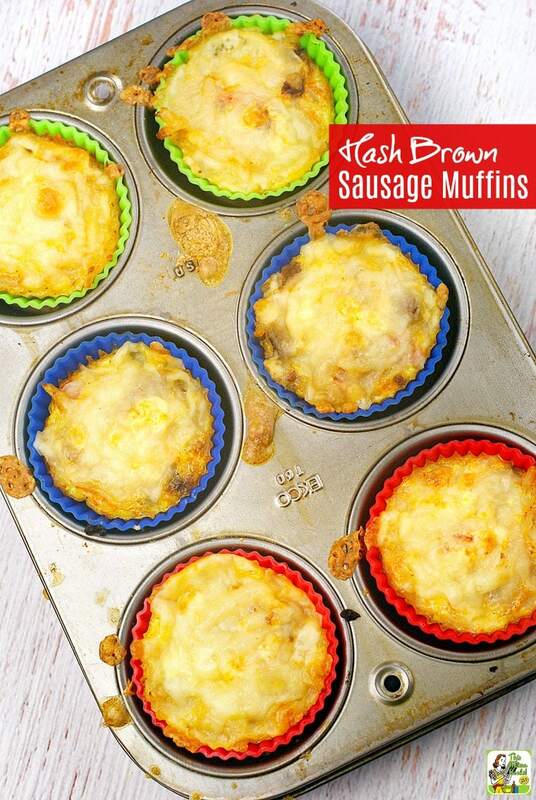 I baked these Hash Brown Sausage Muffins in silicone baking cups, which are nice to serve the muffins in, too. You could also use a silicone muffin pan and pop out the muffins on to a plate or platter. Don’t use disposable paper cupcake liners, as they’ll stick to the hash brown breakfast muffins and will be a bear to peel off. 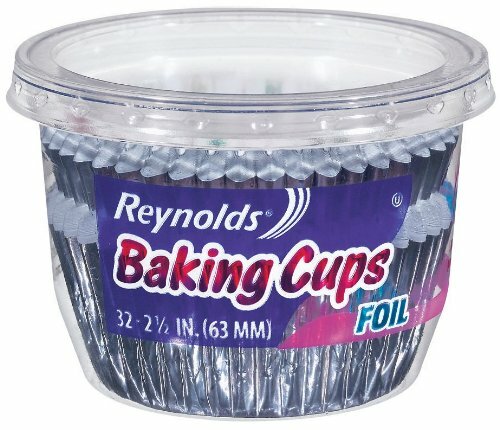 If for some reason you want to use disposable liners, try foil baking cups. I think they’d be much easier to peel off though I haven’t tried them to be sure. Make sure to remove the foil baking cups before heating the breakfast muffins in the microwave! The breakfast hash brown muffins can eaten right out of the oven. If you make a big batch and freeze them, defrost in the refrigerator overnight. Then to reheat in the morning, just place in microwave on high for 30-40 seconds. Easy enough for even the most impatient teenager to do! Looking for more breakfast recipes? Try Baked Eggs with Skillet Potatoes in Pesto. Heat oven to 400 degrees F. Place baking cups in muffin trays, if using. (See note above about silicone, paper and foil baking cups.) Set aside. In a large frying pan, cook pepper strips, green onions, ground beef and chorizo over medium heat. Stir frequently. Use spoon to break up meat and chop peppers into small pieces. Cook until meat is thoroughly browned. Add raisins. Stir to thoroughly combine. Turn off heat. Remove from stove top and set aside. In a large bowl combine eggs, egg whites, salt and pepper. Beat eggs. In another large bowl, combine hash browns and meat mixture. Mix until combined. 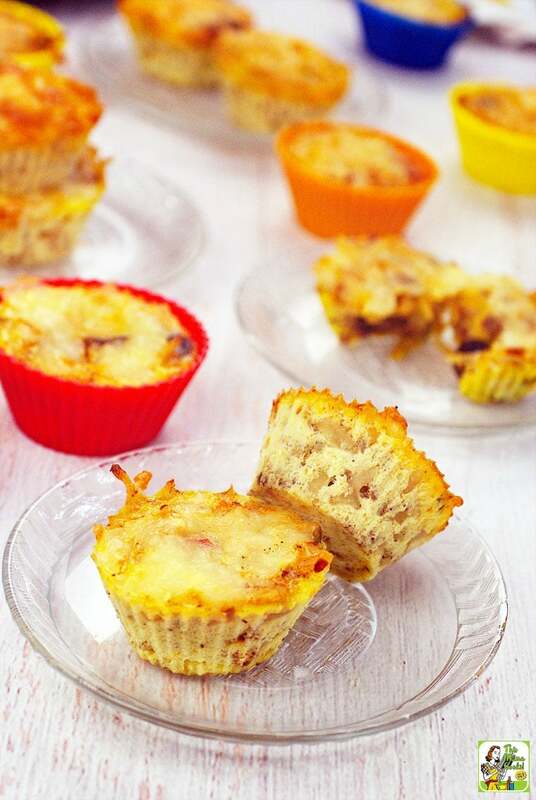 Place 1/4 cup of hash brown and meat mixture into baking cups. Baking cups should be filled to almost the top. Do not over fill. Place almost 1/4 cup of egg mixture into the baking cup. The egg mixture should almost reach the top of the baking cup. Sprinkle some cheese on top of each muffin cup. Place muffins in the oven for 12-14 minutes until the top starts to brown. A toothpick inserted in center of cup should come out clean. Originally posted on September 29, 2014. Updated with new pictures and information. Love this creative breakfast! Freezing individual breakfast items is such a great idea! These look like the perfect breakfast! Love all of the flavors! Oh, how I LOVE Simply Potatoes! My fridge is never without them. Great use of them here!